Block copolymers represent an interesting class of materials, combining properties of individual components and capable of developing nanoscopic domain morphologies. 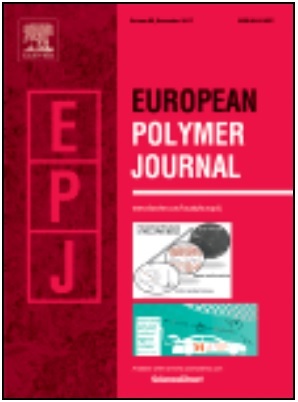 Copolymers which comprise polystyrene and poly(dimethylsiloxane) attract special attention due to their effective segregation and the highly contrasting thermal properties of individual blocks. This work covers structural studies of copolymeric domain architecture and investigates the molecular dynamics observed in bulk PDMS, diblock PS-PDMS and triblock PS-PDMS-PS. Utilization of atomic force microscopy and NMR spin diffusion provide a thorough picture of phase separated systems. Dielectric spectroscopy reveals the dynamic heterogeneity of PDMS amorphous phase. Two distinct structural relaxations, namely α and αc, were observed and attributed correspondingly to PDMS mobile amorphous fraction and PDMS rigid amorphous fraction. Unexpectedly, the segmental reorientations observed in the case of copolymers were faster that that observed for bulk PDMS.